Montreal looked like Venturi Formula E would get the chance to score many valuable points in the fight for for P7 in the teams’ championship. Nevertheless, two eventful races meant the team would end the season with two more points and ninth in the championship. 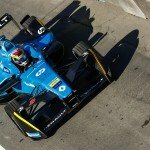 The early afternoon of Saturday proved to be a rather bittersweet experience for the Monegasque Venturi Formula E squad as Tom Dillmann qualified tenth and teammate Maro Engel only managed to secure P17 due to faulty engine mapping which the German acknowledges as his own mistake. Nevertheless, both of them showed a strong performance in the race but a risky strategy during the safety-car period did not pay off for Engel and he crossed the line in P19. 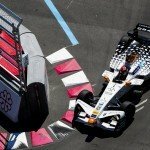 Dillmann was equally frustrated as the Frenchman merely missed out on a point by finishing eleventh. Due to Sebastien Buemi’s (Renault e.dams) disqualification later on, both of them moved up the oder by one position and the team thus secured one more point in the championship. The final Formula E race of the season looked rather promising for Tom Dillmann as he was able to qualify in eighth. Things got even better when Nicolas Prost (Renault e.dams) was moved to the back of the field meaning both Dillmann and Engel would gain one place on the grid, thus starting from P7 and P18. 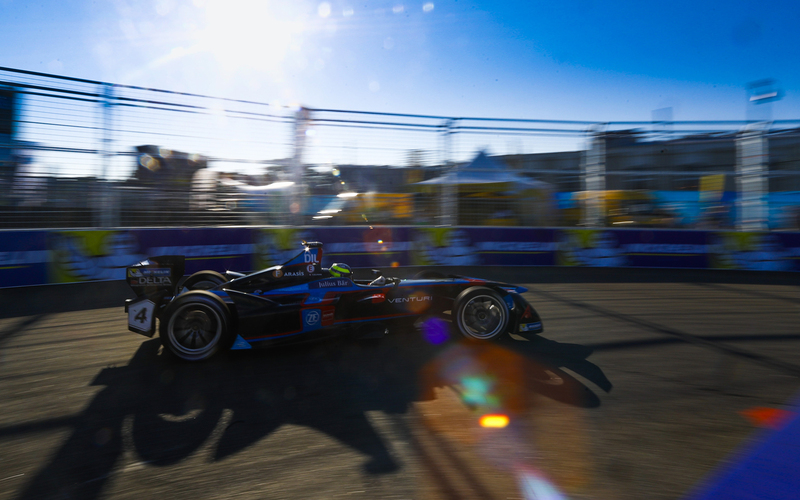 The first half of the race brought the two Venturi Formula E drivers into the top-ten: Dillmann managed to save energy, while Engel opted for a risky strategy, hoping for a safety-car period in the course of the race. Unfortunately, this did not pay off and things went haywire for both Dillmann and Engel as they got passed by the ABT Schaeffler Audi Sport duo as well as Jerome d’Ambrosio (Faraday Future Dragon Racing). While Dillmann was able to bring home P10 in the end, Engel dropped to P18. Saturday was massively shaped by faulty decisions for Maro Engel. At first, the German was not able to show another strong qualifying performance as those seen earlier on this season due to faulty engine mapping. “That’s solely my mistake. I contested the session in the practice-session mode and consequently with some 30kW less – what cost me some two seconds per lap”, he said after qualifying 17th. During the race, he showed a respectable performance and was hoping to secure a good result with a different strategy that unfortunately did not pay off. The German was thus not able to finish any higher than P12 in the end. Just as on Saturday, Maro Engel encountered a difficult qualifying session and he had to head into the race from P18. Nevertheless, Engel showed an incredible performance and tried a different strategic approach once again. Sadly, it also did not pay off this time so the German lost a lot of ground during the final third of the race, crossing the line in P18. “We speculated for a safety-car period and, consequently, for a very early car swap. We were aware that it might get close with the energy without full-course yellow period but following yesterday’s two safety-car periods and the impression that the racing was even wilder, today, it could have worked,” he commented after the race. It looked like Tom Dillmann was hot for points in Montreal as the Frenchman impressed with P7 in qualifying. Even though he started well into the race, he was nearly taken out by former Venturi Formula E driver Stephane Sarrazin (TECHEETAH) who spun in turn one. He kept his cool and continued his hunt for valuable points and combined with his great battery management, it looked like Dillmann would actually take Venturi Formula E to P7 in the teams’ championship. During the last third of the race, the Frenchman was not able to defend his position against the ABT Schaeffler Audi duo of Lucas di Grassi and Daniel Abt as well as Jerome d’Ambrosio (Faraday future Dragon Racing) so he crossed the line in P10, securing one more point again.